As there has already been minor cold spells that have hit this year, the first day of the winter solstice of upon us. 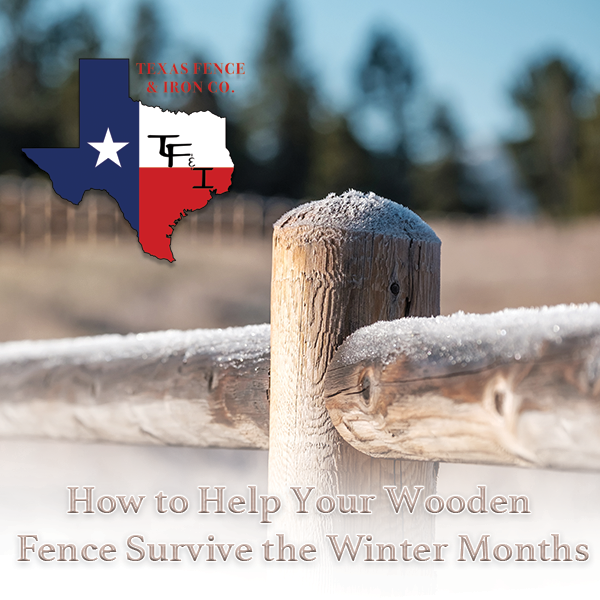 Due to excess moisture in the atmosphere and changing temperatures during the winter months, wooden fences are susceptible to quick deterioration. Tip #1: Inspect the wooden fence thoroughly for any weak spots–such as damaged pickets or protruding nails–to ensure appropriate level and stability. 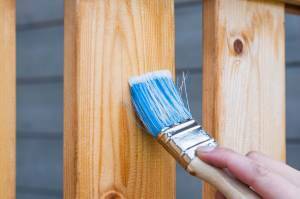 Tip #2: Apply a stain or waterproof application on the fence as a precautionary method that will help prevent moisture from soaking into the wood. Tip #3: Clean leaves or debris that have landed on the fence, at the base, or has become lodged between boards, as leaves lock in moisture and can lead wood to rot. Keep the footings free of dirt to lessen the risk of cracked cement due to trapped moisture. Tip #4: Remove low-hanging tree branches that are hovering over your fence, as strong winds could cause them to collapse and damage the wooden fence. Tip #5: Replace any damaged broads promptly before the winter months. By performing a few simple maintenance tasks, you can significantly minimize damage to your fence and avoid extensive work and costly repairs come springtime. When working with wooden fence materials and planning fence design and installation, Texas Fence & Iron Co. remains proactive through every phase–keeping city codes, neighborhood restrictions, and changing seasons and temperatures in mind. 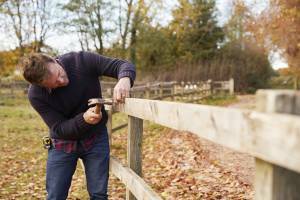 If you’re in need of a new wooden fence, the professionals at Texas Fence & Iron can help. Contact us today!